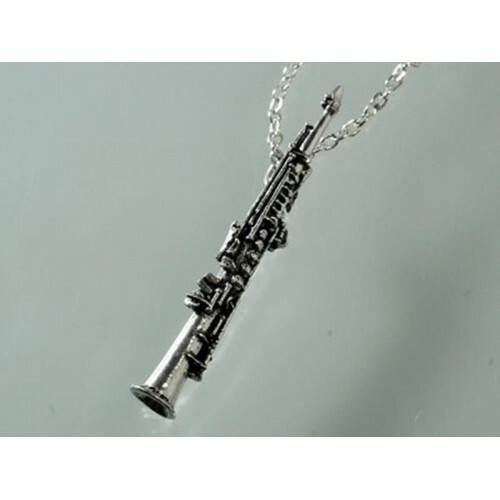 Necklace for saxophonists. It is a tall saxophone. Pewter with silver-colored chain.